The Top 10 Scariest Marketing Mistakes of All Time! As marketers, we kind of scoff at the idea of ghouls and ghosts frightening the lesser mortals. Vampires and chainsaw-wielding madmen hold no place of fear in our hearts. We’re marketers. Want to hear a marketer scream in horror? Show him the embarrassing typo he missed in his last blog post. It’s the possessed MacBooks and Blog Trolls we fear most! In the spooky spirit of Halloween, we’re going to journey through the scariest marketing mistakes that will surely haunt you in your sleep. Grab your security blanket, and get ready to hide your eyes! We’re going to go on a haunted hayride of the 10 most hysterical, horrifying marketing mistakes of all time. In 2012, CEO Ron Johnson decided to bring a fresh new perspective to the J.C. Penny sales floor in order to boost declining sales. Up to this time, J.C. Penny has items perpetually on sale, listing an artificially inflated price marked down to the real price. If Johnson had understood his target persona’s, he would have noticed that they felt like they were getting deals, even if they knew the merchandise wasn’t really on sale. 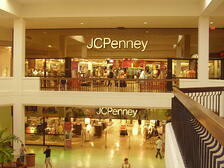 Instead, Johnson removed the “fake” pricing and sales plummeted 25% on the year and 19,000 employees were laid off. Long story short, Johnson brought back the fake price, “sales.” Not to be finished with this horrifying story, Johnson hired a new marketer to bring back the bling for J.C. Penny. His choice? Sergio Zyman, the man who launched the now infamous “New Coke” campaign. In a lesson that should teach us all to clearly communicate and set proper expectations, Toyota launched a opt-in campaign that resulted in police investigations and a lawsuit. What was this completely creepy campaign? Well, recipients began getting personal messages from a fictitious character named Sebastian Bowler, who happened to be in trouble with the law. He would send e-mailed telling them he was coming over, and even sending fake invoices for damages at a hotel. The problem is, most of the recipients had no clue Sebastian was a fake character and feared for their safety from this insane stalker. In 2009, Amber Duick sued Toyota for emotional distress caused by the fake stalking. 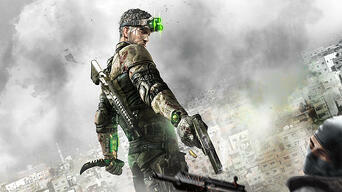 I’m a gamer, and I like the Splinter Cell games. However, I don’t think I would have even appreciated this marketing stunt. In 2010, a New Zealand marketing firm (those Kiwis) sent an actor, dressed as the main character in the game, into a bar with a fake gun. The result was a lot of terrified patrons and police with real guns pointed at the gun-wielding mad man. While it all ended without anyone being seriously injured, in this day and time you just don’t do that. The lesson to learn is that gimmicks rarely work. They backfire as much or more than they actually work for brands who try it. Rather than relying on a marketing antic, why not do the things that really help. If only those Kiwi’s had been Inbound Certified… I checked and Jemaine and Bret were not working at this marketing firm at the time. In 2009, (5 years ago people!) Montblanc released a new pen, the Gandhi, in honor of Mahatma Gandhi. 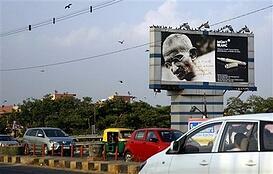 They decided to market this new pen with a huge billboard featuring a photo of the pen next to a photo of Gandhi. The placement of this billboard? Why, they put it up above the slums in Mumbai. That’s right, Monblanc was spreading their message to people making an average of less than $2 a day. Well, you may think, even people making less than $2 a day need ink pens. You’re right, but Montblanc’s Gandhi pen was priced at $24,763.00. After a huge outcry of capitalizing on the image of a man who generally opposed luxury, and who thought it was an insult to the nation of India, Montblanc went on the defensive! How did they recover? Well, they decided that a pen named after such a man as Gandhi should have a less expensive version. Their new line of cheaper pens would only set you back $3,500.00 a piece. Yeah, they really dodged a bullet there! In 2010, a court agreed that the pens were degrading to Gandhi and Montblanc halted the product. If you’re going to promote your products, try promoting it where your target personas are likely to see it. It’ll be much more effective and save a lot of waste. 6. Think Before You Hashtag! This is one marketing hashtag that went viral for all the wrong reasons. We probably all remember watching this plain-dressed, middle-aged woman walk out onto the stage of Britain’s Got Talent. She skyrocketed to fame with that single, outstanding performance. Too bad her marketing team weren’t up tot he same level of performance. To celebrate the release of her album, the marketing team decided on using a hashtag to help spread the message. It went viral, but not for the sake of the album. 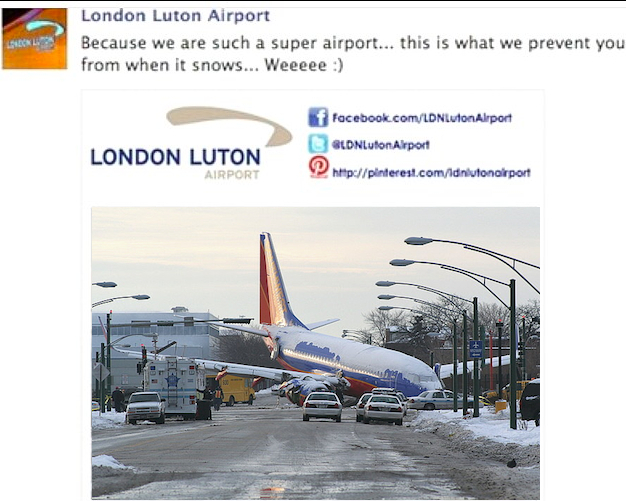 London Luton Airport decided to jack a news story to increase engagement on its Facebook page. Their message was short and playful with a powerful image attached. What’s wrong with this? Well, that specific photo came from a 2005 Chicago flight. The plane slid off the runway and crashed, resulting in the death of a 6 year old boy. Make sure you’re understanding the story your trying to newsjack. It’ll save you from making your brand seem insensitive and mean. “Weeeee :),” you just poked a hole in your boat. We all remember those moments of sheer marketing genius, like Oreo capitalizing on the power outage at the Super Bowl. But before you run off to take advantage of a hot story, stop and think if you should before you think of how you could. Epicures, a cooking site, figured they could take advantage of the exploding news (pardon the pun) out of Boston to sell some of their recipes. 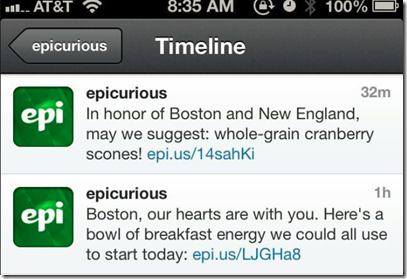 So they took to Twitter to offer those on the scene some recipe suggestions, like their whole-grain cranberry scones. The scary part? This was in response to the Boston Marathon Bombing. In an effort to be fair, maybe we should go back and ask how many people were craving cranberry cones as they hunkered down in their house in fear of the terrorists on the loose. Seriously, think before you tweet. As marketers, we love building our audience, especially our follower counts. Those are super important to us! 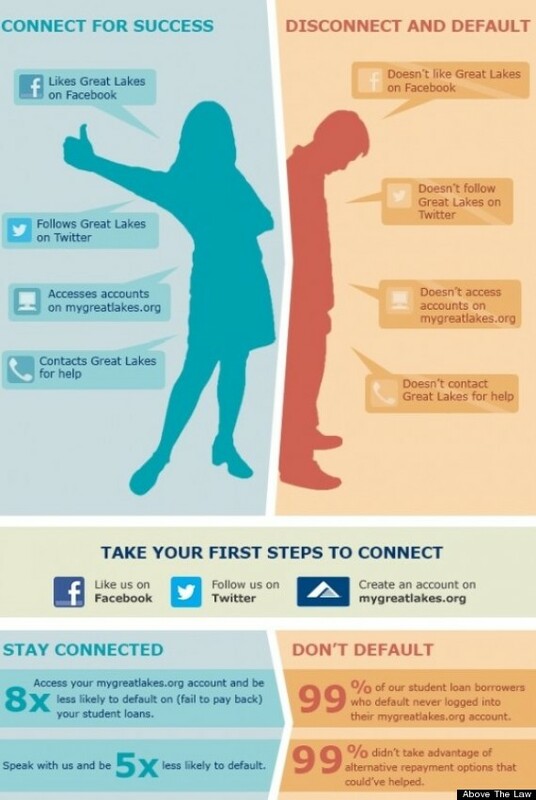 They may have even been too important to the marketers at Great Lakes Student Loan Company. So, let’s see if I understand this correctly… The two most important factors in me not defaulting on my student loans is to follow you on Facebook and Twitter? Really? It’s okay to ask people to follow you. But if you think consumers are dumb sheep, blindly following these not-so-subliminal messages, you need to reexamine your persona files. A better way? Make your social channels worth following, and people will follow them. Even the best intentions can go awry if you don’t stop and think about the implications to your brand. Seriously, think about what you’re saying and how it may sound to your personas. Microsoft made a semi-compassionate gesture, donating to relief efforts of the 2011 Asian tsunami. Their idea was to pledge up to $100,000.00 to the effort, but the money had to be earned by the general public. For everyone that retweeted their Bing Search Engine promotion, they would donate a dollar. Basically, that’s super-rich Microsoft saying, we’ll pay $1 for every retweet promoting our service. Ironically, that’s a cheaper rate than most ads will receive on Microsoft’s own Bing Ads service. Every time I see these ads, I want to scream. You’ll never win a brand battle if your value is based on 2–3 things you may do better than the hottest brand. Remember those “I’m a Mac” commercials? Remember how they never said “I’m windows!” No, it was Mac vs. Microsoft, IBM, Dell, Gateway, Packard Bell, Acer… them against everyone. Those commercials were genius in that, they targeted in one the unique value their customers received. In this case, it was a hip, new, easier, media and entertainment-focused product as opposed to the things we had been using for years with Printshop and spreadsheets. Why do these new ads fail? Their all picking on the same brand, the cool guy. It comes off as petty. Like the person who says “Oh yeah, well… (insert corny insult here)” whenever their pride is hurt. Yeah, I’m ranting a bit, but seriously. If your value is wrapped up in being a cheaper replacement for a competitor, you lose. The competitor wins. When the scary ghost of “let’s tear them down to raise our self up” starts haunting your marketing department, call the Ghostbusters. Instead, focus on what you do really well. Focus on your value for the customer. Who is the most dangerous competitor to Apple? Google… And Google does ads exactly right! Judge for yourself: Which ad is better? The Surface vs. IPad (above) or the Google Tablet? That’s because one focuses on their value, how they make your life better. The other doesn’t. or you may be on this list next year! What are some of the scariest marketing blunders you’ve seen? Share them in the comments section!